Xanax: this prescription medication has become a household name and trademark for the generic drug alprazolam. Xanax usually conjures the image of sedation, which is no surprise as it is a member of the benzodiazepine class of drugs. Benzodiazepines have the effect of slowing down chemicals in the central nervous system. In turn, a person who has taken a benzodiazepine like Xanax experiences a decrease in nervous tension. For this reason, Xanax is used to treat anxiety or panic disorders and anxiety arising from depression. Xanax is also prescribed for muscle spasms, seizures, insomnia, and other conditions. Why Is Xanax a Drug of Abuse? According to the Healthline, the Drug Abuse Warning Network advises that alprazolam is one of the most abused prescription drugs on the market. Xanax has attained this status due in part to it being a potent sedative and fast-acting. But Xanax is only one medication among many abused in the prescription drug epidemic ravaging America. It is important to note that the prescription drug problem involves different categories of pharmaceutically manufactured drugs including benzodiazepines like Xanax, opioids such as Opana, and stimulants like Adderall. Branded and generic drugs within each of these categories are presumably abused in part for the euphoric effects that can result when taking excessive amounts of these medications, dosing too often, or dosing for too long of a time period. When one speaks of a “Xanax high,” there is a critical distinction to be made between euphoric effects that can occur with lawful use and the high that can result from abuse. Non-abuse usage of alprazolam can cause euphoric effects in 0.1-1 percent of users (which translates to one in 1,000 or one in 100), due to their particular brain chemistry. This small population of users aside, when Xanax is taken in accordance with a medically supervised treatment plan, its active ingredient alprazolam does not usually trigger euphoria. Xanax abusers, on the other hand, will take too much of this drug (such as more than 4 mg a day), or crush it and snort or inject it with the specific intention to get high. Continued use of alprazolam leads to physical dependence and psychological addiction. Although Xanax is a lawfully manufactured prescription drug, it is addiction-forming. The addictive nature of Xanax may compel the question: Why, as Psychology Today notes, are there more than 46 million prescriptions for this drug filled each year? There are numerous responses to this important question. From the pharmaceutical company standpoint, Xanax is profitable and has high market demand. From a medical standpoint, this benzodiazepine is useful in the treatment of anxiety and other disorders. From a consumer perspective, taking a pill is a far easier course of action than dedicating time and energy to therapy and other personal improvement efforts. And lastly, from a public health perspective, Xanax presents a grave danger because of its abuse potential. However, on balance, Xanax has a legitimate medical purpose and for this reason, it appears the drug is here to stay. In view of the fact that prescription drugs like alprazolam will likely continue to have a market presence far into the future, governmental, medical, and pharmaceutical authorities must work to increase public education as a preventative tool and strive to develop an anti-abuse formulation of Xanax and other abused benzodiazepines. However, once Xanax addiction has taken root, the best practice is to seek treatment in a structured rehab center. The paths to alprazolam addiction are many. Some users may have an underlying diagnosed condition, such as anxiety disorder, and obtain a lawful prescription that they then begin to abuse. Other abusers may not have a lawful prescription and find alternate ways to acquire this drug, such as by purchasing on the street. Those persons addicted to Xanax who have an underlying mental health conditions are considered, in addiction treatment terms, to have co-occurring disorders, or a dual diagnosis. Individuals with co-occurring disorders are best advised to seek treatment at a rehab with a specialization in such. An effective program will help both the substance abuse and underlying condition, both of which should not be left untreated. In some cases, alprazolam addiction has been associated with self-harm and suicidal ideations and behaviors. If left untreated, an underlying mental health condition can worsen as well as trigger a drug relapse. The first step to recovery from Xanax abuse is a detoxification. It is important to note the differences between Xanax dependence and addiction. A person who is physically dependent on alprazolam will experience withdrawal symptoms once use is discontinued. Physical dependence, however, is not synonymous with addiction; note that all individuals addicted to Xanax will be physically dependent, but not all who are physically dependent will be addicted. The client’s use profile (i.e., how much Xanax has been consumed and over what period of time) will factor into the detox process. The goal of detox is to safely eliminate benzodiazepines from the body and stabilize the client. Xanax withdrawal, under medical supervision, is generally a safe process. However, in rare instances, persons in withdrawal from benzodiazepines have experienced convulsions and psychosis. At present, the prevailing strategy is to first assess the recovering person’s physical state, gauge the severity of the dependence, and create a schedule of gradual tapering off the drug. At present, there do not appear to be any specific drugs designed to treat withdrawal symptoms from benzodiazepine abuse. In a detox program, attending doctors may use over-the-counter medications to deliver palliative care. When a prescription palliative drug is used, it will have been adapted to the purpose and is not a universal treatment protocol. In sum, a recovering person in a medically supervised detox program can expect to be tapered off Xanax and treated with palliative medications to ease any discomfort associated with withdrawal. One well-accepted tenant of addiction treatment is that detoxification is never enough. Addiction and medical experts agree that detoxification should immediately be followed with a structured primary care treatment plan. Depending on the particular needs of the client, treatment may include pharamacological therapy (i.e., the use of pharmaceuticals in programs called medication-assisted treatment) and will definitely involve behavioral therapy. It is important to note that pharmacological therapy is not generally used when alprazolam or other benzodiazepines are the sole drugs of abuse. In some cases, benzodiazepines are used to treat withdrawal from alcohol addiction so the benzodiazepine drug class is itself a form of medication-assisted treatment. To date, there do not appear to be any U.S. Food and Drug Administration medications approved specifically to treat benzodiazepine dependence, addiction, or withdrawal. In general, medication-assisted treatment is used to treat opiate and opioid addiction. To provide insight into the benefits of behavioral therapy, this article will take a closer look at CBT in individual psychotherapy sessions and 12-step programs. CBT treatment is a well-accepted psychotherapeutic approach to addiction. It is usually provided in individual psychotherapy sessions. Under CBT, Xanax addiction would be considered a maladaptive behavioral pattern influenced by the person’s learning process. In other words, somewhere along the way in the person’s development, he or she did not develop healthy coping strategies for life stressors, which led to turning to Xanax and possibly other drugs for relief. In an individual CBT treatment session, for instance, a person recovering from Xanax abuse would be guided to identify the specific triggers of the abuse. The next steps would be to consider a hypothetical triggering situation and discuss possible healthy responses that do not involve drug abuse. To provide an example, a person with a diagnosed anxiety disorder who abused a prescription for alprazolam may have felt he was receiving inadequate psychiatric treatment or counseling, which resulted in greater reliance on the drug. However, this person may have deeply embedded insecurity about voicing his needs to attending treatment professionals, which resulted in him taking matters – and drugs – into his own hands. Learning how to effectively communicate one’s needs, for instance, could be a strategy learned in CBT treatment that helps to prevent a drug relapse. Research supports that after CBT treatment, when recovering individuals are in real-world triggering situations, they can successfully rely on what they have learned to make healthier decisions. The 12-step model appreciates a long and respected history. It is important to understand that 12-step meetings are self-directed by group members, whereas other group therapy meetings are usually moderated by a licensed counselor. Individuals in comprehensive acute or outpatient addiction treatment programs for Xanax addiction will usually be involved in both self-directed and counselor-led group recovery work. The founders of Alcoholics Anonymous created the 12-step model, but this model has spread beyond its sister organization, Narcotics Anonymous. Many groups unaffiliated with the faith-based aspects of AA and NA have sprung up. The 12-step model takes a tiered approach, or steps, which (speaking broadly here) include acceptance of the addiction, seeking help, making amends for past harms, and committing to participation in meetings. One hallmark of the 12-step model is that many recovered addicts remain in these programs well after intensive treatment in a structured program has ended. Graduation from an acute or outpatient intensive drug treatment program is not the end of recovery. The high rate of drug relapse makes this point obvious. According to the National Institute on Drug Abuse, there is a 40-60 percent rate of addiction relapse in general. Regarding benzodiazepine relapse in specific, according to research published in Oxford Journals, high-dose Xanax abusers experience the highest risk of relapse. As discussed earlier, in the case of persons recovering from alprazolam addiction who also have an underlying disorder, ongoing mental health treatment is a critical component of aftercare. An effective rehab program will have a person recovering from alprazolam or other benzodiazepine addiction to take an inventory of the causes of the abuse, which, in turn, provides exceptional guidance on areas to focus on in aftercare treatment. Such steps will also help the recovering person to successfully avoid other drugs of abuse, prescription or non-prescription types. As the prescription pill and street drug epidemic continues, the goal of addiction treatment is always to free the afflicted individual from addiction and not merely to substitute one drug of abuse for another. 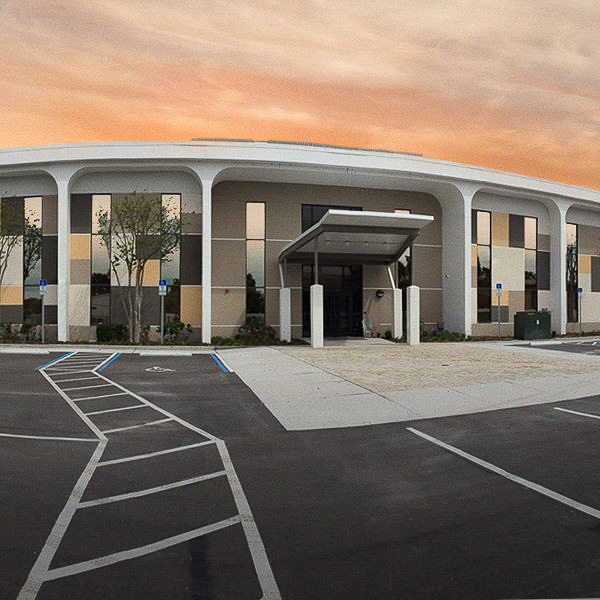 At Orlando Recovery Center, the multidisciplinary team of addiction experts understands the thought patterns and behaviors underlying addiction need to be addressed. They offer scientifically based programs to treat alprazolam abuse while at the same time taking a holistic approach to addressing clients’ complete needs. 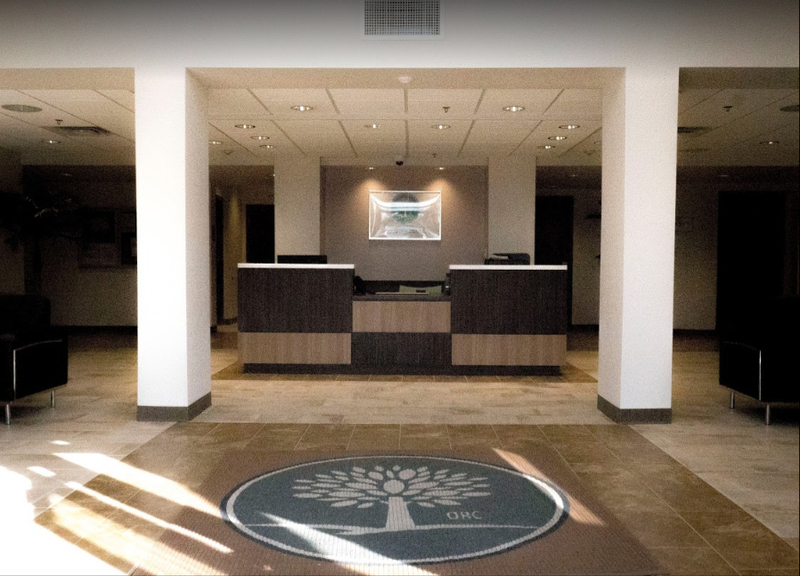 Whether or not this is the first time you are entering rehab, Orlando Recovery Center can help you make it the last time.